Gateway&apos;s desire is to help people get closer to God no matter where they are in life. While we work in our community to accomplish this vision, it is important that we be a part of accomplishing this around the world. Below is a lisiting of our current mission ventures with details and descriptions of each opportunity. To support anyone mission simply click on the mission&apos;s title or the picture to access the giving portal. The ministry of Doug and Karen Thomas involves strategic field planning for the growth of Open Bible Churches in 16 Spanish-speaking nations, including Mexico, the Spanish-speaking nations of the Caribbean and Central America, 8 countries of South America, Spain, and Brazil (Portuguese) and giving oversight to major projects and coaching and training for church planters, evangelists, and church leaders. 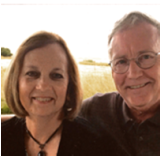 Mike and Cathy Brandt minister as directors of Puente de Amistad (Bridge of Friendship) in Tijuana, Mexico. Puente is a Christ-centered base where visiting groups and individuals stay during their time of ministry in orphanages, in neighborhood Vacation Bible Schools, in men’s drug and alcohol rehabs, or while feeding the homeless in downtown Tijuana. The Brandts also mobilize teams and individuals for projects such as building homes for the poor who have migrated to Tijuana from other parts of Mexico. 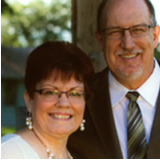 Mike & Nancy Juntunens’ passion is to help train the next generation of pastors and leaders in Hungary through INSTE, a theological and discipleship training system. God is doing a tremendous work among the Roma (Gypsy) people in Hungary. 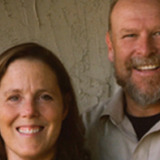 Mike and Pam Lumbard minister as directors of the School of Global Leadership - Trinidad, a missions training school that provides a cross-cultural, hands-on learning and living environment that helps propel students into leadership roles around the world. Trinidad is a great missions training environment, with great diversity among the religious, economic, and ethnic facets of life. This makes it a solid stepping stone for those interested in taking Jesus to the world! They have been sent to the people of an Islamic nation with several unreached people groups. They share the love of Christ among the poor, ministering to them through literacy, health, and other community development projects. Several of their Muslim friends have come to faith in Christ and now share their faith. Their goal is to train individuals to serve as leaders and pastors that will evangelize and disciple others, and then send these individuals out to spread the Good News of Jesus Christ. 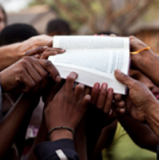 They desire to partner and support 1,000 pastors/evangelists by 2040 and begin 50 new Open Bible works by 2020. Bill and Fayth McConnell minister in the women&apos;s and juvenile prisons and see many lives transformed by God&apos;s love and power. They purchased a six-acre ranch and established a drug and alcohol rehab center, where over 80 men are now recovering from drugs and alcohol. 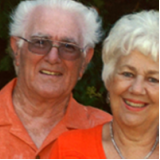 The McConnells have taken abandoned and destitute people from off the streets; now they serve Christ. Barry and Karen went to Peru in 1993. For 11 years they served in the jungle, Barry in accounting and computers and then as Director of Jungle Operations. 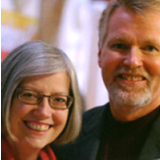 Barry and Karen moved to Orlando, FL in February 2015 when they were asked to come to Wycliffe’s headquarters to serve the worldwide team. Barry is the Director of Corporate Accounting. 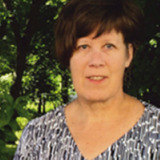 Karen is presently using her gift of adaptability by helping in various departments as needs arise. Tammy Swailes’ passion is Christian Education on the mission field. She loves the languages, working cross-culturally, coordinating translation teams, setting up systems for operating, training leaders, making books, visiting groups, assisting group leaders, and promoting INSTE ( a theological and discipleship training system) in Ukraine, Romania, Hungray, France, Spain, England, and a Central Asian country. 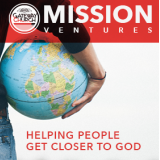 Sometimes a need arises on the missions field and because of how money is designated a specific need is not able to be met. The general missions fund allows us to partner in the most flexiable way possible. Meeting the greatest need that arises in any given situation. 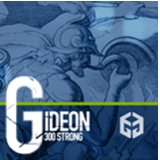 Gideon Force 300 are making monthly commitments of $30 or more towards missions.